In consideration of the work a company’s in-house IT department does, it’s easy to assume that most problems can be solved with additional money, time, or staffing. However, a Network Services partner can help companies save money and relieve some of the burden. Here, clients will learn what to look for in an IT support provider. First, ensure compatibility between the organization’s needs and the vendors the provider uses. Do they support various software and hardware vendors? What certifications do the company’s staff have? If a client has a specialized solution, will the provider support it? Ideally, the Network Solutions partner should work with an outside consultant who can support clients’ complex needs. When managed services providers have strong relationships with vendors, they’re more likely to get quick answers when things go wrong. During the evaluation phase, ask about the nature of their relationships with vendors. Have they won awards, and how long has the partnership lasted? What’s the vendor’s opinion of the partner? The answers to these questions will give clients an idea of what to expect from a provider. It’s important to choose an IT Support provider whose hours suit the company. When is the office staffed, and are those hours a match for the organization? What will happen if something goes on after hours, and are those service calls included in the contract? Do they provide help when the in-house IT staff takes a vacation? Even the best provider is useless if its hours of operation aren’t in line with those of their customers. Next, consult past and current clients. What are they saying about the provider, and are they satisfied with the issue resolution, communication, and support they receive? Managed IT partners should be able to quickly and easily provide the names and contact information of certain clients. 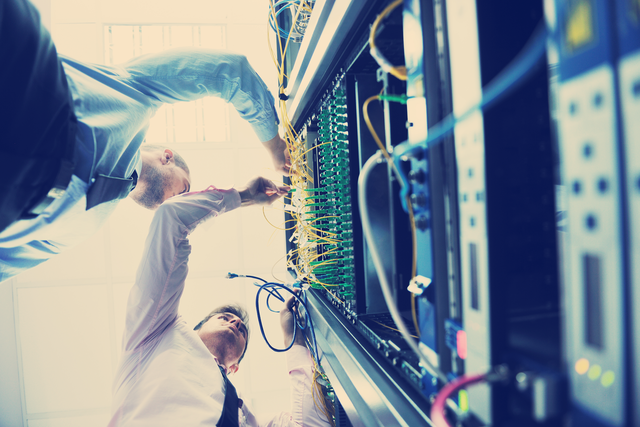 There are numerous ways managed IT providers can help companies, and potential clients should consider the above factors when making hiring decisions. For more information or to schedule a consultation, call JustTech today.